HireSignals.com is a platform designed to confidentially inform recruiters of a candidate’s job search status on LinkedIn. In other words, you can show recruiters that you are looking for a job without letting your current company know about it. It does this by empowering them with a Firefox (Google’s Chrome Browser is coming shortly!) browser add-on that allows them to “see” a candidate’s job search status and their job interests on LinkedIn in the form of color coding and pop up-windows. The RecruiterLens view superimposes color codes associated with the candidates search status on the LinkedIn search results pages and provides pop-up details on the candidate’s interests on the profile pages. On Profile pages – it provides a pop-up window detailing the information that the candidate has provided on their job interests and job search status. How do you vet recruiters on the site? - must use a corporate email domain (no personal emails allowed) that matches that of the firm. - We check the recruiters’ Linkedin account descriptions to ensure that they match that of agency recruiter or corporate recruiter / HR Manager currently with the firm they have registered under. Hiring/line managers are rejected. How do I ensure that my employer can’t see my status or job interests? As HireSignals insists that recruiters use corporate email addresses, candidates can block the domains of their current employer. We recommend that candidates block variations of corporate domains and, where appropriate, the domains of parent organizations. Once this is done the recruiters under those domains will see the candidate as not yet registered with the platform when browsing Linkedin. 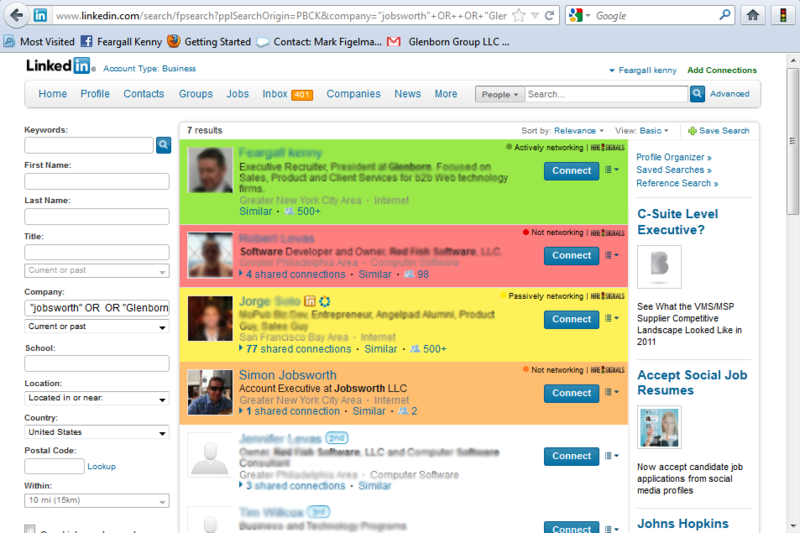 Go to www.hiresignals.com and login with your Linkedin credentials. Declare yourself a candidate or a recruiter (note that recruiters are vetted and approved on the platform – see below). Then declare your job search status and optionally add details on your job interests, salary requirements etc.